Want to see how easy it is to make an iOS app with Xojo? Check out Xojo Draw in the App Store. Released last week at the start of XDC 2016, Xojo Draw is an enhanced version of the Xojo Doodle sample project that is included with Xojo. Working on both iPhone and iPad, Xojo Draw lets you draw with touch and save your creations to the camera roll or send to other apps. 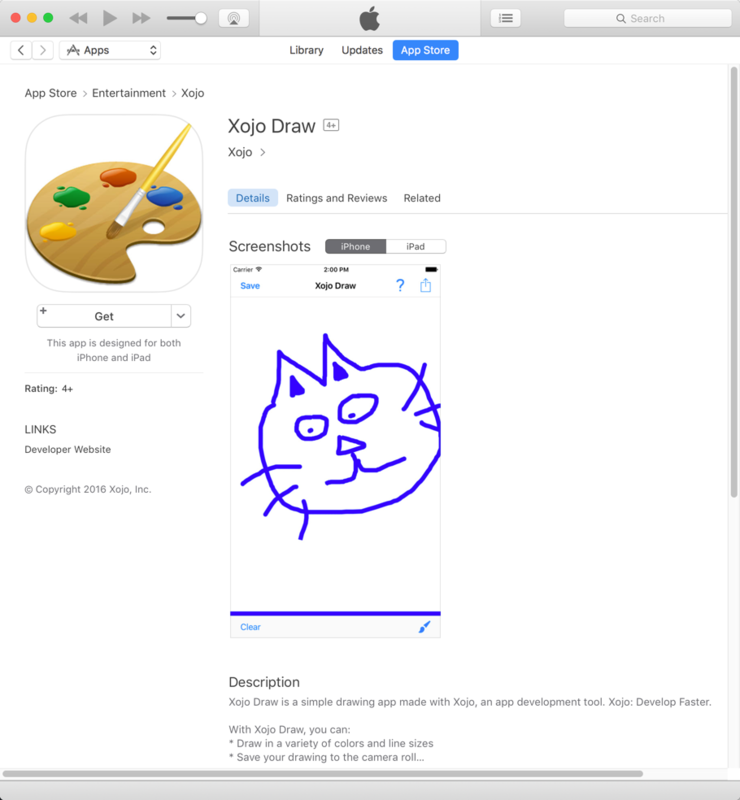 In addition, to help you learn how you can create your own iOS apps, the full source code for Xojo Draw is on GitHub (click the Clone or Download button to get it)! Grab the free version of Xojo and the Xojo Draw source code to see for yourself how you can quickly start creating your own iOS apps. And stay tuned for more Xojo-made apps to appear in the App Store, along with full source code to help you get coding with Xojo iOS!